One easy way to get the most from your sewing machine is to keep your machine cleaned, dusted, oiled, and adjusted properly. Learn how to clean and maintain your sewing machine with our WeAllSew top tips below. Don’t forget to check in your sewing machine manual for specific directions to clean and oil your specific model, and remember to visit your local BERNINA store at least once a year for a thorough inside-and-out clean, oil, adjust, and update! 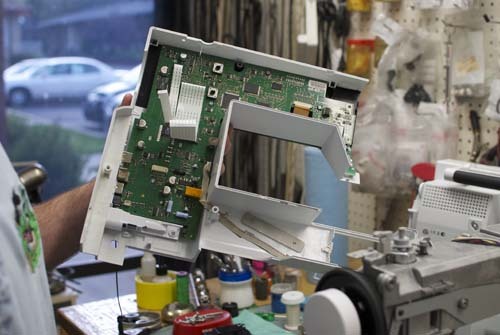 Think using canned air to blow link in your sewing machine is a good way to keep it clean? Think again! Visit this post to learn how to use (or don’t use) canned air when cleaning your sewing machine. 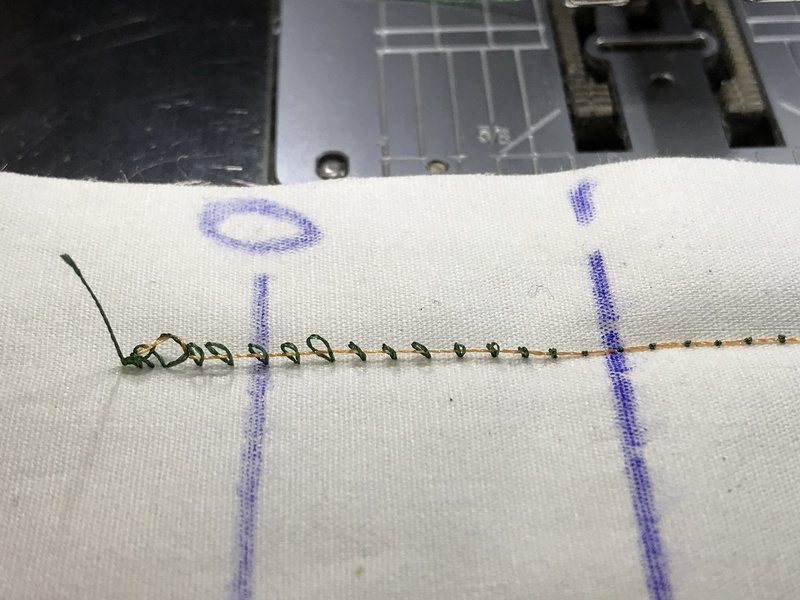 When you are experiencing stitching issues with your sewing machine and can’t seem to figure out why, stop and follow these 5 Tips to Solving Thread Tension Problems. Find out the best ways to remove all of that dust and lint from your machine with this Sewing Machine Cleaning Tip from WeAllSew. 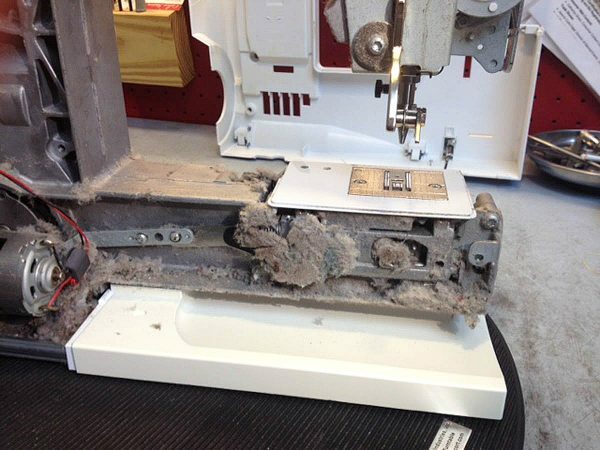 What exactly happens when you bring your machine when you bring it to your BERNINA store for yearly servicing? Do Your Really Know Your Machine on the Inside? Find out the answers to these questions in this fun post! And see what happens when you don’t keep your machine clean in this post. 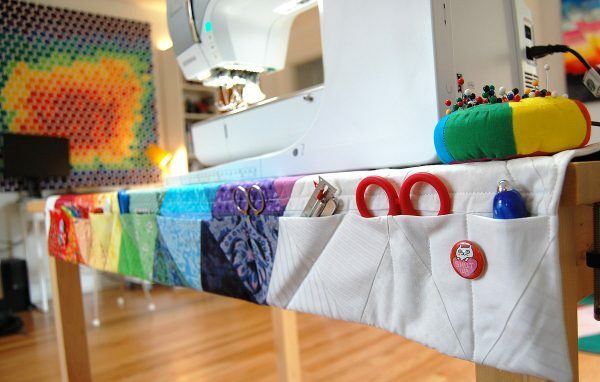 Our favorite way to keep those handy cleaning tools at the ready (like tweezers and small brushes) is to keep them organized in a handy Sewing Machine Mat. 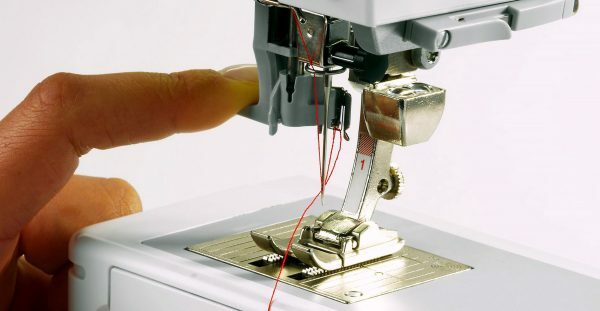 If your sewing machine isn’t adjusted properly you may experience skipped stitches, no matter how clean it is. 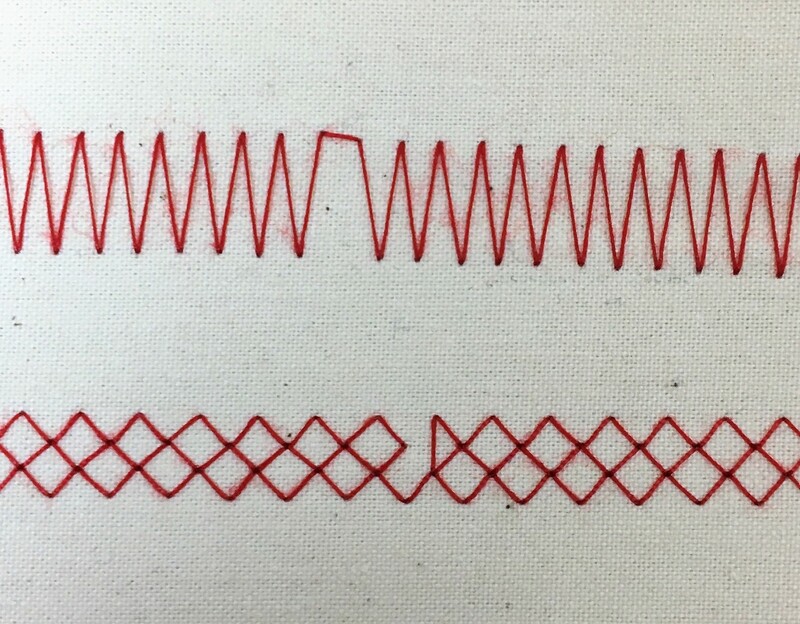 Learn how to Troubleshoot Skipped Stitches to keep your machine sewing perfect stitches. 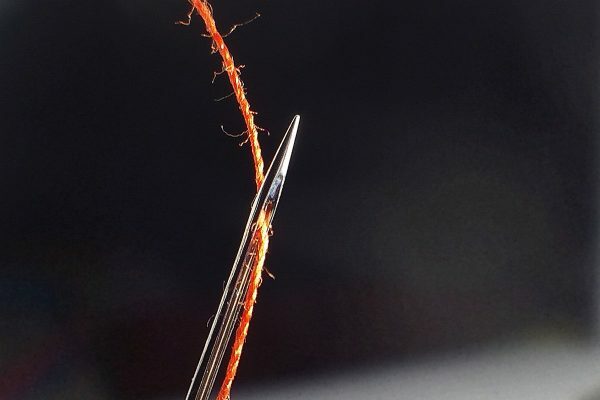 Did you ever think about how something so small as a needle can have such a big impact on the success of your sewing project? Using the wrong type or size of needle for your sewing project can result in problems like skipped stitches, broken thread, and needle breakage. Learn how to use the right needle for your sewing job in this post All About Sewing Machine Needles. Speaking of needles, you can’t use the right needle for your sewing project if you can’t find it! 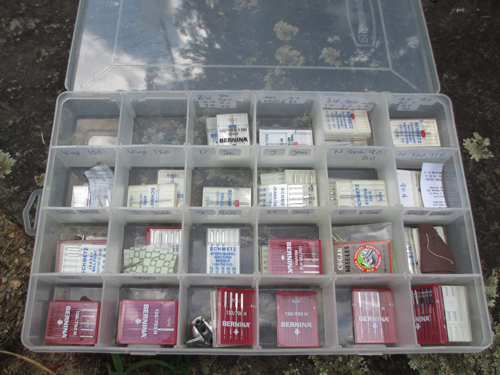 Here’s a great tip for Organizing Your Sewing Machine Needles. Sometimes when your stitches get wonky it’s time to stop and adjust the upper thread tension. Check out these Tips for Tension Testing to understand how to best set your sewing machine tension. 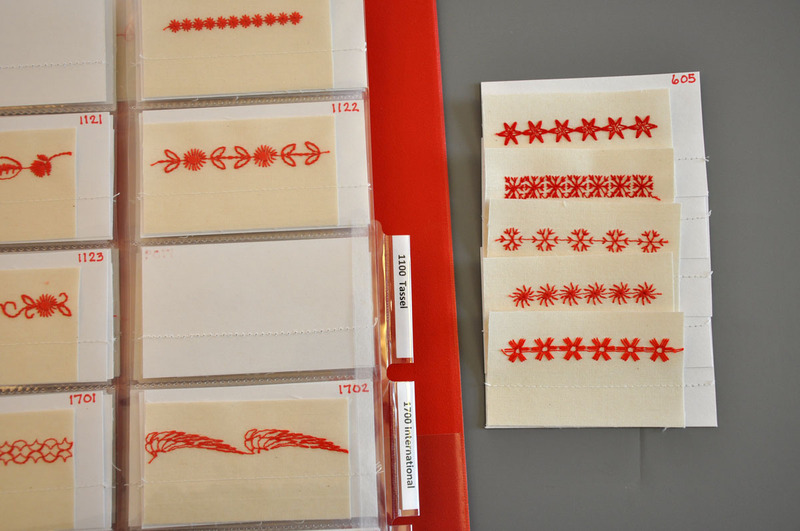 How do you find just the right stitch from your sewing machine? It’s easy when you create a Stitch Sampler book! This book can show you at a glance what each stitch looks like when actually sewn out, and make the stitches easy to find by quickly referencing the stitch number in your sewing machine. One final tip! 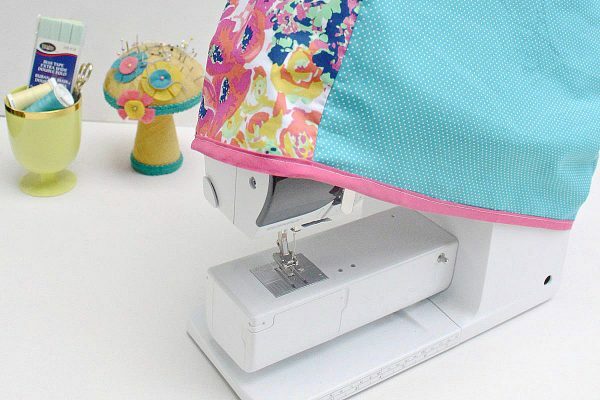 Once your machine is thoroughly cleaned, make a custom Sewing Machine Dust Cover and keep it covered and dust-free when not in use. Happy sewing with your clean machine! Thank you for these reminders and tips! I have tried brushes and vacuming , however I have found that using firmly wrapped Q tips works best for me because they grab the lint and keep it. I may use twenty or more because I am very careful not to leave any of the cotton in my machines, so one swipe with each end and into the trash they go.. I first tried Qtips on my serger…because the lint got in the strangest places. I use a small paintbrush with a drop of smo on it. It collects the lint and lightly oils everything. I just remove the collected dust with a paper towel. I always find new tips when reading your blogs or visiting your site!